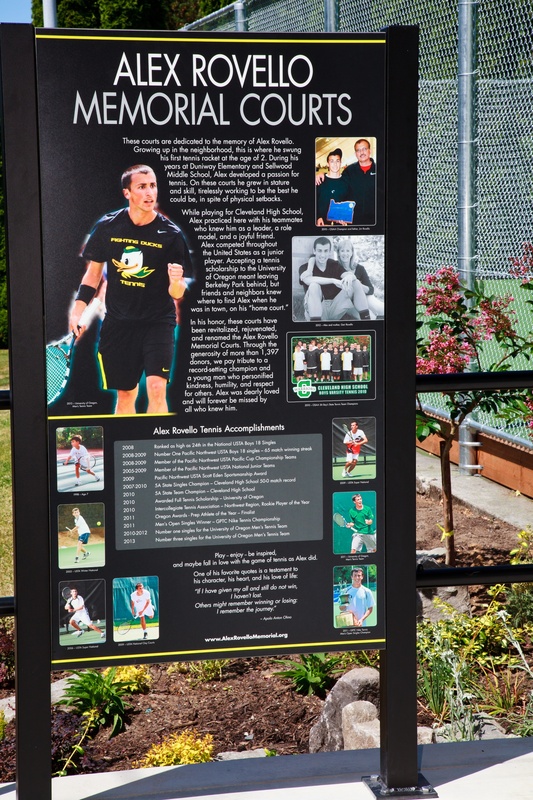 Following the tragic death of Alex in 2013, the tennis courts at Berkeley Park were renovated in his honor thanks to the generous support of family, friends, and the community. 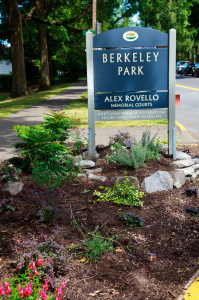 On July 27, 2014 Portland Parks & Recreation dedicated and named these courts, the Alex Rovello Memorial Courts at Berkeley Park. 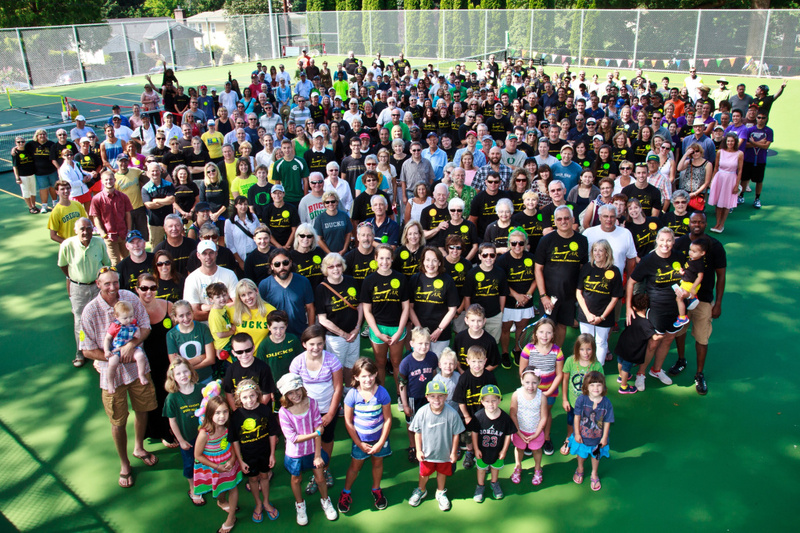 Since then these courts have become a neighborhood hub for meeting, playing and enjoying the game of tennis. 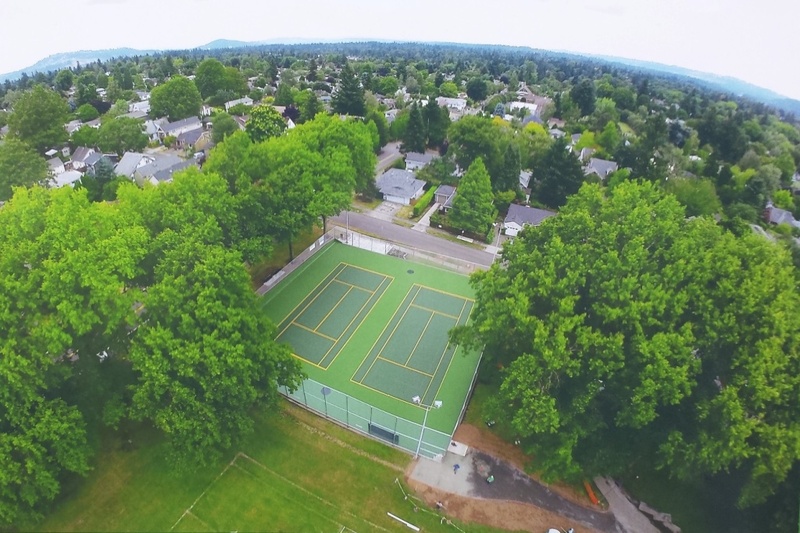 In May of 2016 Jim and Geri Rovello signed a ten-year agreement with the Portland Parks & Recreation for the continued maintenance of these beloved courts. 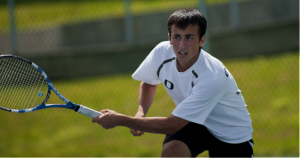 With this new mission and responsibility the Alex Rovello Memorial Foundation was formed in 2016. 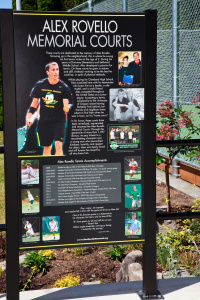 The mission of the foundation will be to provide support for the care and preservation of the Alex Rovello Memorial Courts at Berkeley Park and to promote, develop and enhance the lifetime sport of tennis. The foundation’s mission is to care for the courts and to provide a safe and professional environment for children and adults, from all walks of life, to learn and play tennis. Hope to see you there and greatly appreciate your support. New projects, visitors, events and generous donations to the Alex Rovello Memorial Foundation guided our efforts this year.